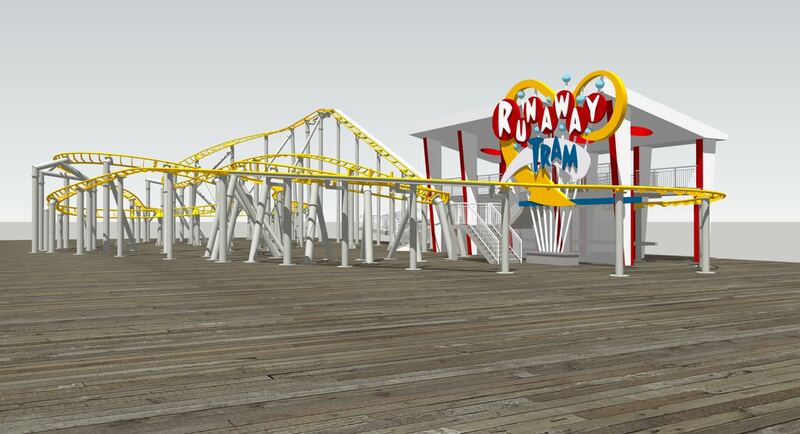 Moreys Piers building Runaway Tram in 2019 (Family Coaster) : Theme Park News & Construction! 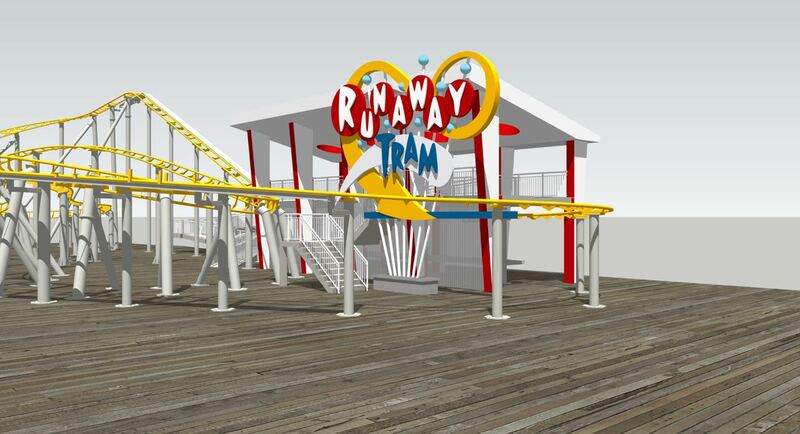 Coming to Morey’s Piers in 2019 (for their 50th anniversary) is a family coaster called Runaway Tram. Themed to one of the beach trams gone wild, it’s the first ever coaster by Jack Rouse Associates out of Cincinnati, Ohio. Renderings are in the link below. Going on the Surfside Pier, it is replacing Doo Wopper (Which will be relocated), a basketball game, and Flitzer. Last edited by Kw6sTheater on November 15th, 2018, 8:39 am, edited 1 time in total. How come? I mean its like Kentucky Kingdom 2019 but on a grander scale (50 yr anniversary vs 30 yr), at least Kentucky Kingdom got a more reknown type of ride. I feel like Moreys made a gamble with this ride, why not go with good ol’ Zierer, Zamperla or Gerstlauer? Last edited by Kw6sTheater on November 15th, 2018, 8:43 am, edited 1 time in total. Looks like a good coaster for kids and families who are intimidated by Great White. *Looks* smooth, will be fun and won't be too crazy. If everything was done for enthusiasts, there would be no amusement business left for enthusiasts to enjoy. Kw6s, you need to be banned, or at minimum restricted from posting in the Theme Park News & Construction forum. You are constantly spouting wild, unfounded, fantastical rumors ("cross-pier GCI, or perhaps something cool from S&S or Gerstlauer or Premier or even a Gravity Group"). 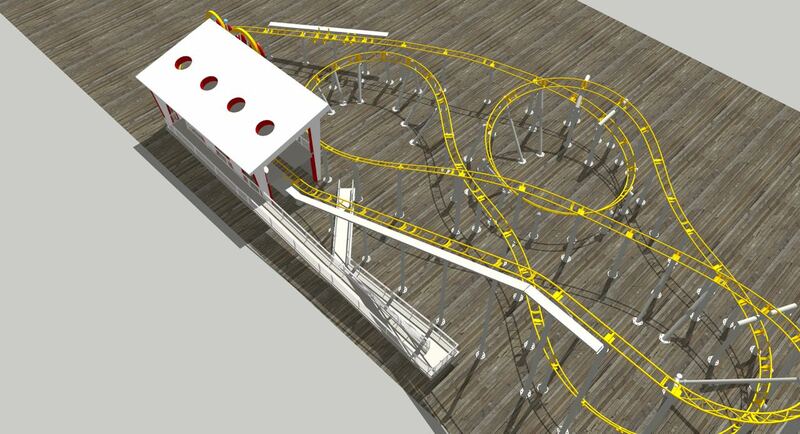 This is a template example of how not to present a new ride construction topic. We don't care if it's not a pleasant surprise for you. It should be presented with facts, reference links, and without your opinion. How insulting to open your topic with "so yeah dudes, you thought Moreys Piers was building something actually interesting in 2019". Your topics are not necessary as we have a few members whose jobs it is to post news of new attractions and construction updates; Paradox for example. Last edited by tiepilot35 on November 15th, 2018, 8:41 am, edited 1 time in total. It’s edited tiepilot. Facts only. If you have ever been to Wildwood you would know how perfect this is. I haven't been there since I was 13 and I can still hear "Watch the tram car please" This coaster is absolutely perfect for them. On another note while that cross pier GCI would be wonderful, I doubt they will ever try it because of the dangers of storms like Sandy. I'm also pretty sure parts of the beach are eroding so building on sand is probably not in the best interests of anyone. Then when will they build something (and what do ya believe it will be) that will give me an excuse to get all these shiny creds? If you want the creds then the excuse is already there? You see mkingy, I’d want to go to this park for unique rides. Not a bunch of family coasters which this park is slowly turning into. I don't get the dislike for this ride...it looks like a decent junior coaster that will do a good job of replacing the Flitzer. Yes, it's perhaps a little tamer than Flitzer was, but still a nearly perfect fit for the park. That said, I'll be extremely disappointed if "watch the tram car please" is not incorporated into the ride audio in some way. Sad enough that will be a long time from now. Moreys has their 3 big coasters and that is more than what you will see at an American seaside pier. They're goal is focusing on rides for everyone of all ages. Would I like to see sea serpant be removed and replaced with a sky rocket II or a launched el loco? Heck yes, but until the park gains enough revenue and has room for a major coaster, they will keep adding family additions and thrilling flat rides to accommodate everyone and draw in that profitable crowd. 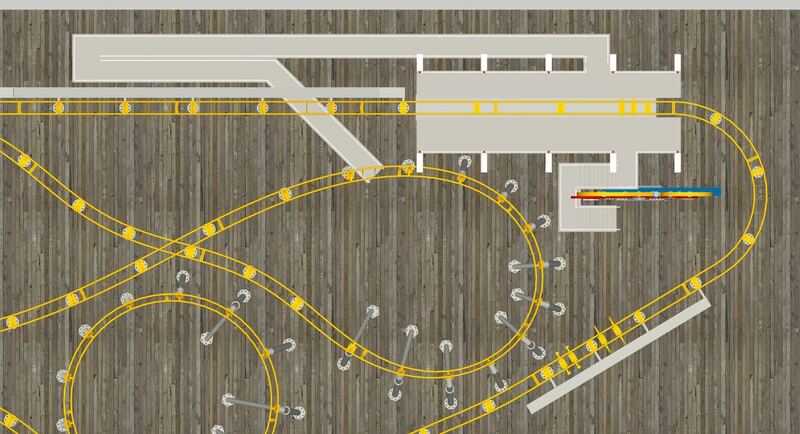 It's also been confirmed that this is a Zierer Force Coaster. Kinda obvious since the layout is a clone of the Flying Eagle at Legoland Billund. At least they’re going for a reputable manufacturer. Still I’m holding out for that actually good Cross Pier GCI or a larger coaster than a family cred. I like the sign on this thing. Also it looks decent for what it is. I never realized that this was the same layout as Flying Eagle! I love the swishy motions of the straight sections, looks alot more special than just airtime hill after airtime hill! Moreys Piers closing Flitzer on Sept. 23, 2018!